Where would Great Britain be without tea? I know I would be completely lost and unable to function! 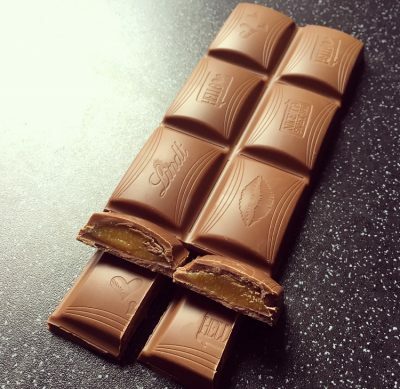 It is all about tea on the blog today and in particular We Are Tea. 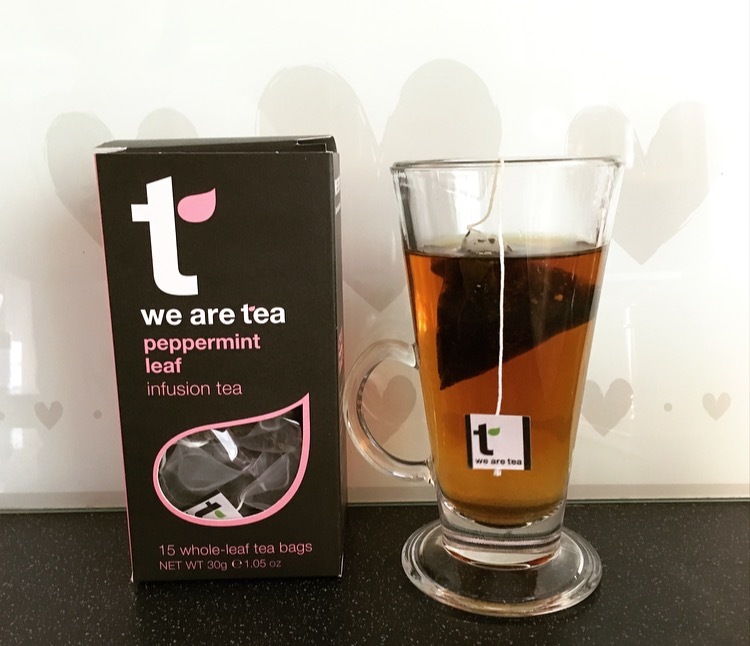 So who are We are Tea I hear you cry… Simply put they are exactly what they say on the packet. They are an ethical tea company based in London that offers a wide range of award-winning, artisan whole-leaf teas and have made drinking whole leaf tea easy peasy lemon squeezy. 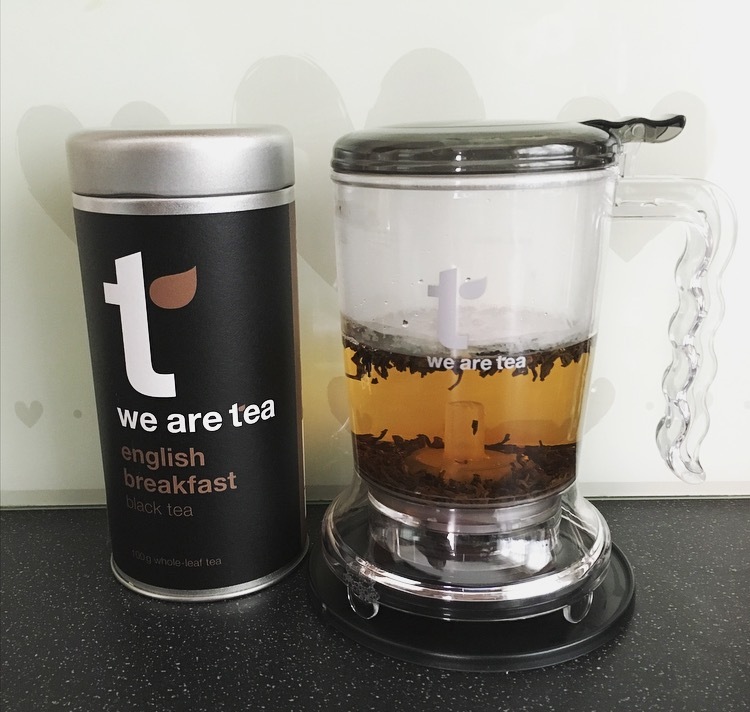 Today’s review is courtesy of We Are Tea and Spring & Tonic PR who kindly send me 2 whole leaf teas to try and one super dooper Simplicitea Infuser. 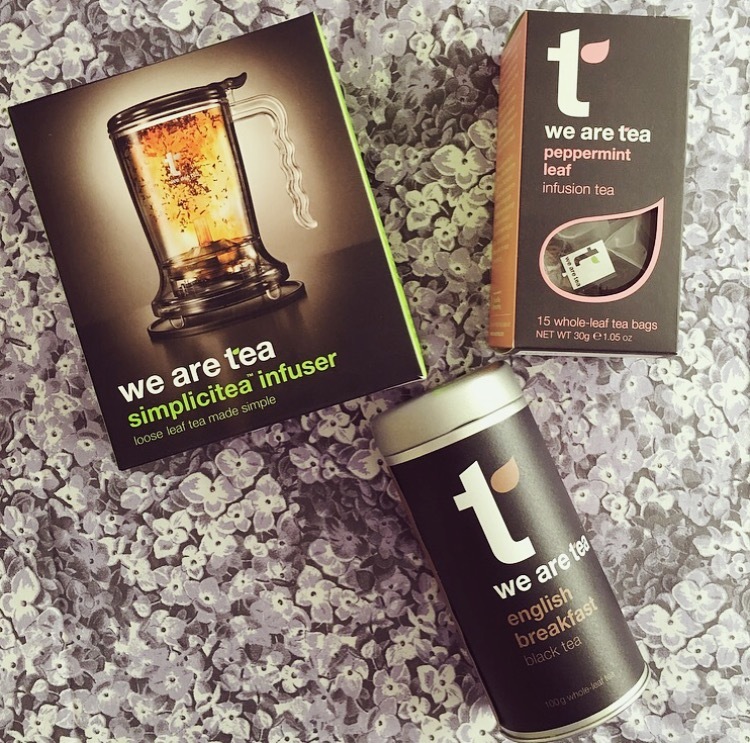 What makes the simplicitea infuser super dooper? Well they have taken the faff out of brewing whole leaf tea and created this infuser that enables you and I to have whole leaf tea in as little as 90 seconds. Sceptical? So am I! So let’s put it to the test. After getting it out the box and reading the instructions, yes I was being a typical woman, I did question how the heck you got the water out without an abundance of tea leaves. Low and behold We Are Tea have created and little push bottom on the underneath, so when you have brewed your tea to perfection put it over your mug / teapot, press down and ta da crystal clear tea comes out! Nifty right! I have two varieties to try, which also happen to be my favourite teas in all the land – English Breakfast loose tea and Peppermint Leaf whole leaf tea bags. Blend of India’s finest rich and malty Assam with the fragrance of an exceptional Darjeeling – £5.45 for 100g. The loose tea was sealed in the tin and resembled little strands of granules. A teaspoon per mug is all you need and what I loved about the Simplicitea Infuser was on the side it gives you the water measurements for a mug or a tea pot. 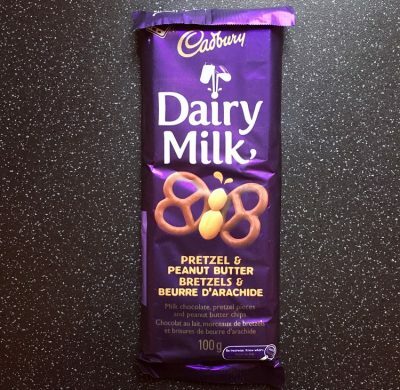 I am not really one who opts for black tea, albeit that’s all I lived off in China last year, but as this is designed to be enjoyed milkless that’s exactly what I did. The tea was subtle in flavour, smooth and delicate. By the time it had finished brewing I thought it would be incredibly strong however there was none of that harshness that you get from your usual black tea and was actually perfectly balanced. It is not like traditional English Breakfast tea here but combines flavours that makes this an easy tea to drink anytime of day and an all round crowd pleaser. Traditional black peppermint leaf , striking and strong, this peppermint tea infusion cleans your palate and aids digestion – £4.15 for 15 bags. Onto the the Peppermint Leaf. Popping the pyramid bag into boiling water and brewing for 6 minutes, I like it super minty, the initial emerald green liquid smelt delightfully pepperminty and gave me that clean feeling when you take a big sniff of menthol. The hot tea was surprisingly cool on the tongue, quite an odd concept when you have hot liquid but cool sensation, was zingy and most importantly naturally minty. Unlike other peppermint tea I have had (PG Tips) this really hit the spot and didn’t leave me wanting more oomph. A really delightful tea that cleanses the palette. We Are Tea have produced some fine quality tea here and have certainly converted me to the Black English Breakfast Tea. Their Simplicitea Infuser is a thing of genius and I am a little in love with it. They really have thought about every feature, most importantly being one gadget that is compact, useful, easy to use and takes the faff out of making a cup of whole leaf tea. Costing £18.00 that really is a great price for what it does. The whole leaf tea bags are on the expensive side for me, where as the loose tea I find is a reasonable price and the one I will buy again. For all things We Are Tea visit their website here. or they are currently stocked at Tesco and Ocado or We Are Tea online at varying prices.